Lisbon, Wisconsin – Spring planting is about to get underway, and that means large, slow-moving farm equipment will be on Wisconsin roads. 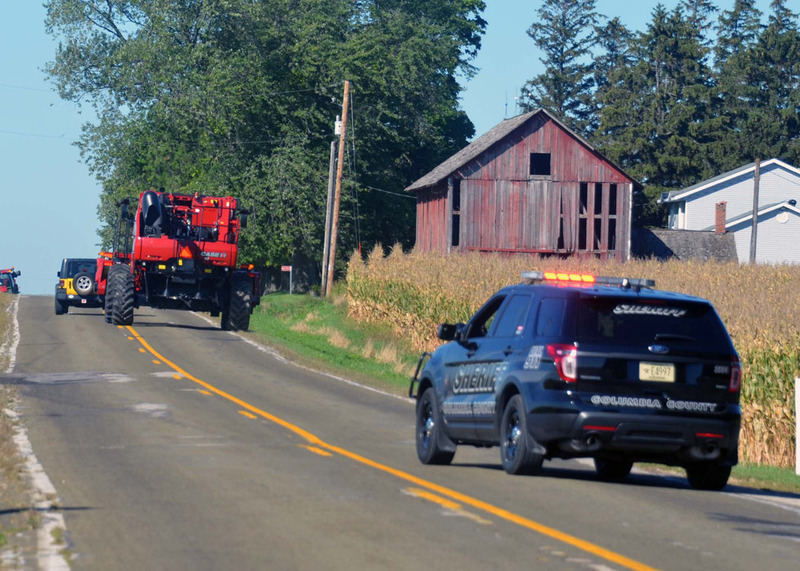 The Wisconsin Corn Growers Association (WCGA) is letting motorists know it is illegal to pass farm machinery in a no passing zone on Wisconsin roads, and reminding farmers about their responsibility for safety on the road. Farm equipment operators also have responsibilities for safety on roadways, according to Kelleher. Operators must yield the right-of-way to an oncoming vehicle and yield half the roadway. They may not drive on the left side of the roadway, on a grade or curve or area designated as no passing zone if it creates a hazard to oncoming traffic. Also, they may not drive so slowly as to impede the normal movement of traffic, and must, if practicable, yield the roadway to an overtaking vehicle. “Farmers and motorists all share responsibility for safety on our roadways,” said Kelleher. “Farmers need to be aware of their presence on the roads, and motorists need to exercise patience and caution when coming upon farm equipment. Get more information about rules for agricultural vehicles on the road from the UW Center for Agricultural Safety and Health at http://fyi.uwex.edu/ioh. WCGA is a membership organization that represents the interest of state corn growers in the growing and managing of corn grown both for on-farm feeding and commercial sale. WCGA brings together corn growers to provide information and education at regional corn conferences and the annual Wisconsin Corn/Soy EXPO. As part of NCGA, WCGA represents corn grower interests nationally and internationally and also sponsors annual corn yield contests.